I saw Begin Again right before it was pulled out of the local cinemas near my workplace. I can name a lot of obvious reasons why I loved the movie (and I can make a review of it, if I want to). But if anything, the movie has just reminded me that no matter how painful and taxing it can be, that it is okay to begin again... to start over... to move forward... even if it means losing something in the process in order to gain another. People say: no pain, no gain. But there are times where I do wonder if the process gets easier? I am at a crossroads again. I always thought that as I get older, I get more confident at these things. While I keep a calm facade, my nerves are driving me nuts and I second-guess myself. I hate it when I do that. I over-think to the point of suddenly remembering the what-ifs and the what-should-have-beens in my life... then I just chastise myself for even entertaining such thoughts to the point that I find the courage to pick myself up and move along. Until I get to that point (and I will, hopefully soon enough), thank goodness for sour cream flavored chips, double-dutch ice cream and a movie that'll sure bring on the waterworks. Let the healing process begin... again. If money weren't an issue, my other vice -- aside from buying and reading books -- would probably be travelling. I like exploring new cultures, seeing sights, meeting new people and buying tons of pasalubong. I feel blessed that my profession afforded me occasional business trips both locally and internationally, although the latter is not as often. My last out-of-the-country business trip was nearly six years ago in Bangalore, India. - Catch the Harry Potter Exhibition at the Art and Science Museum, Marina Bay Sands: I had to literally run through the huge Marina Bay Sands mall since I arrived on its last day. Not only did I see it, I also included a side trip to the Andy Warhol one a few levels up. - Eat at Lau Pa Sat: Me and my colleagues has several lunches there since it was very near where our training was held. I even saw some Filipino stalls in it. Tapa King Singapore was the highlight. - Pay homage to Kinokuniya: I visited all 3 branches of this bookstore. Seriously. That's how much I love that place. I was able to visit other bookstores, MPH and Prologue. I love books so this is just expected. I took a lot of pictures of books with UK covers because they're not available here. - Roam around Sentosa: And roam around I did: through the Sentosa Express, free buses and beach trams. The heat was blistering and I'm not a fan of walking under such conditions so the free transportation modes were lovely. I didn't go in any of the attractions -- they were too expensive -- but I did see Po. He waved at me and that made me feel happy. - Taste Xiao Long Bao: Not once, but twice. I ate at two Din Tai Fung branches. One off the bucket list. - See Clarke Quay: The place where I stayed was a quick stroll away from this busy area. Every night, Clark Quay lights up. I was treated to several performances of the awesome belly dancers in one its middle-eastern restaurants. There were a lot of street performers too. - Visited Chinatown: Finally! The place was so vibrant since the Mooncake festival just concluded when I arrived. The Chinese lanterns were so pretty and there were lots of cheap stuff. Hi there! How is your long weekend shaping up so far? I hope it was better than mine as I had to come in Monday for work so as to lessen the load when I get back on Wednesday. Not that my long weekend didn't kick off well. 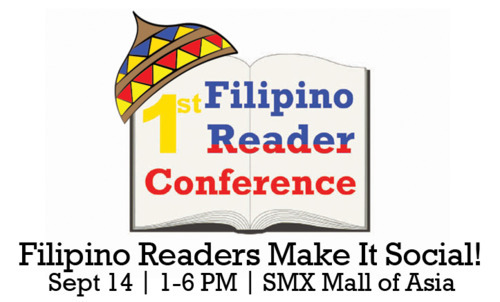 In fact, it went off to a great start with the 2nd Filipino Reader Conference. I blogged about the event as a special feature on my review blog. I do hope you can check it out. If my memory serves me right, this is the second long weekend after Holy Week since April 9, which happens to be Araw ng Kagitingan, fell on a Monday. I love long weekends because whenever I get to enjoy one, I always find time to cook myself (and even for my family) a really good breakfast. When I started with my new job last year, having a decent breakfast on weekdays is hard to get by. Decent in my book means full and easy. Of all the meals in a day, breakfast is my favorite. I can manage to survive through lunch when I've had a decent breakfast. I work faster and face challenges with ease. While I manage to get by until lunch with a cup of instant 3-in-1 coffee and a sandwich from the nearest Subway or Starbucks outlet, it doesn't satisfy me as much as my preferred breakfast fare which always includes eggs and fried rice. My relatives often describe my food preference as generally continental except for breakfast wherein it's very Filipino. My brother aptly put at one point, "kahit silog lang ang kainin niya sa umaga, masaya na siya (even if she only eats eggs and fried rice, she's happy)". Silog, for those who may not know what it means, is a combination of the words "sinangag" (fried rice) and "itlog" (egg). Name every possible viand -- local/imported meats, dried fish/seafood, leftovers -- and I can eat them in the morning as long as "silog" is also served... 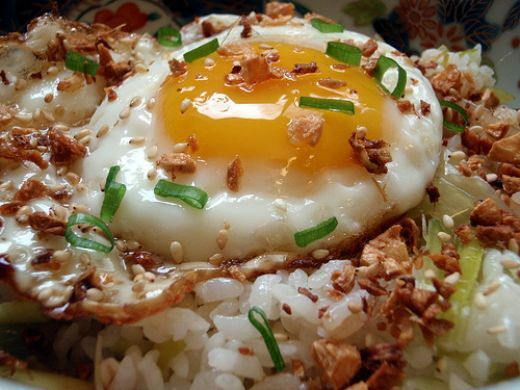 Sometimes, I don't care what time of day it is, as long as I'm in the mood for "silog", I cook it. I go to my happy place every time I eat a serving. In fact, I'm going to prepare one for myself as soon as I wake up in a few hours. My all-time favorite silog combination: silog with Cebu danggit or Vigan longganisa, fresh tomato and onion slices in vinegar and fish sauce, and orange juice! My mouth just watered at the thought. Yummy! In honor of the first Filipino Readers’ Choice Awards, let’s talk about our favorites for this year. What are your favorite books in 2012 so far? 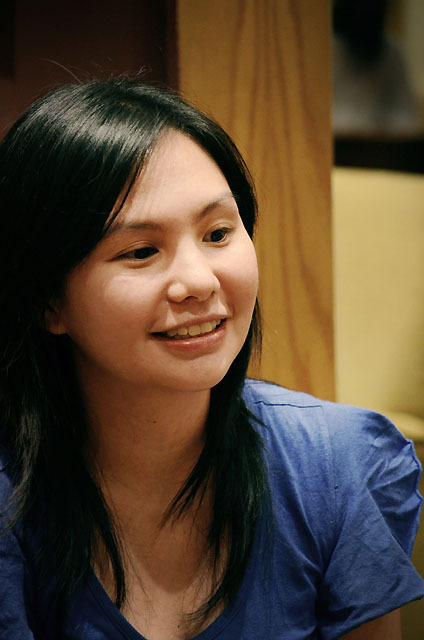 Have you read any awesome Filipino books in the year? If yes, make sure to include them in your list! Since 2012 started, I've read a lot of good books but the one that takes my number one spot so far would be The Fault In Our Stars by John Green. The book is so good, so well-written that I think that everyone should get a copy. I gave it a 5/5 rating on Goodreads and posted a review on my other blog. The book practically solidified John Green as one of those authors on my must-buy, must-read list. And yes, if by some miracle he ever visits the Philippines, I wouldn't mind camping out for days if only to get all his books signed. For real. 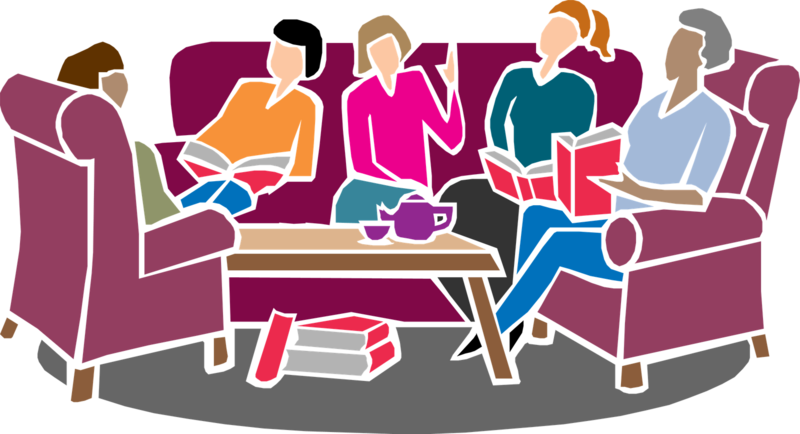 We will have book discussions hosted by several book clubs during the ReaderCon, so to prepare us for that, let’s talk about books and friendships and book clubs. Are you a part of a book club? If yes, what made you join one? What’s your favorite activity that you have with them? If you’re not a part of one, will you consider joining one? Why or why not? I think I've been somewhat part of book clubs since I first created my online virtual library account a few years ago but I'm not as active. While it was fun getting to know strangers who liked the same books I did, I preferred to keep my interactions with them online. Perhaps it was largely because I wanted to keep my cyber life and real life separate. Not that they're different really but I often find it hard to explain to my non-bookworm friends how I meet other people, and sometimes I get really puzzled reactions on their faces, like "Are they for real?" or something to that effect. I'm a person who doesn't really like complications so drawing that line helps. That is, until late last year, when me and a few friends decided to form a book club. It made sense and felt like a natural thing to do since all of us became friends through fandom groups based on a few popular book series. Now with eight books discussed and more coming our plate, our little book club -- if anything -- strengthened our ties and our love for books further. Since we're relatively new and currently private, our discussions -- often held either over several cups of coffee or frozen yogurt with print books, laptops, tabs and eReaders in tow -- are quite healthy; thoughts and opinions are exchanged without censorship but still with due respect. In every discussion, the book is the star of the show. Since our first discussion, our book group has grown from reading books of a particular genre to sampling what the other members liked (or do not like). It allowed for each of us to expand our reading horizons and in a way, made us love reading even more. I couldn't ask for anything else in a book group and I'm sure my co-members, if and when they do read this, would agree. While our current day jobs provide challenges to our monthly meet-ups, I look forward to every single one of them because, not only does it afford an opportunity to discuss a new book, but also it is an avenue for all to us to catch up with each other. Although I think I will always be a reader, being part of a book club with these great friends elevates that experience. And that's it for this week's Filipino Friday meme. 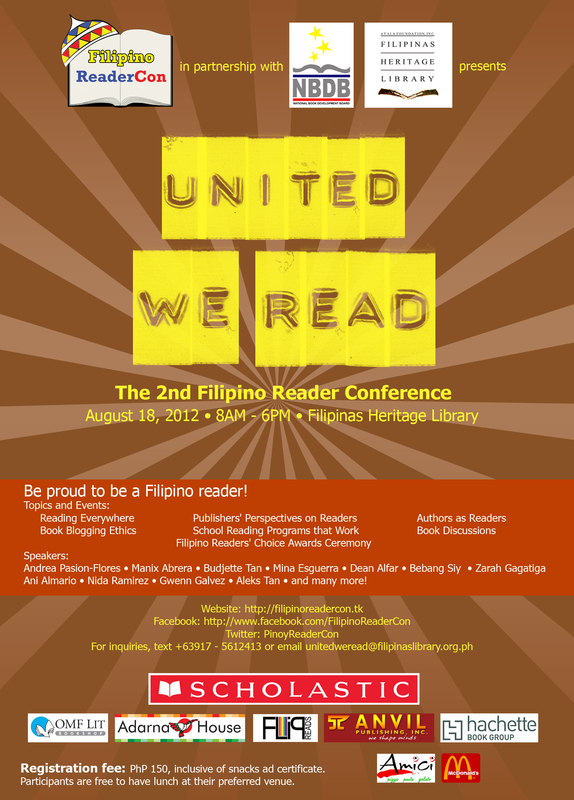 Do check out the last installment next week and if you're available, be part of the 2nd Filipino Reader Conference on August 18, 2012 at the Filipinas Heritage Library, Makati City. I guess it's safe to say that I've been living under a big rock (that is my work) for quite sometime that this nearly passed my radar. I did say at one point that I hardly do meme posts but I loved Filipino Friday last year that I wouldn't miss a chance to do it again. So apologies for my three-peat post but I'd rather do it than never. As with every start of a weekly meme, we need to know a bit about you! Talk about your top 3-5 (or more!) favorite books of all time, the genres you read and would never read, the books that surprised you this year. You can also talk about how you became a reader and why you love it so much! And finally, if you were in the ReaderCon last year, talk about your experience too! 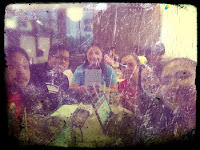 If you weren’t there, but you’re planning to go this year, then what do you expect for the upcoming ReaderCon? As this is not my first time to do this Filipino Friday meme, I'll probably just answer questions in this meme that I haven't answered last year. 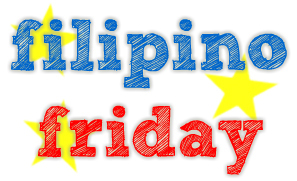 You can click on this link to see all my 2011 Filipino Friday posts. If my books were my kids, they'd probably hate me for choosing a favorite as even those that I enjoyed the most only gets read twice. But I secretly have three books that I never get tired of reading, if you were to gauge by their current state, dog ears and all. 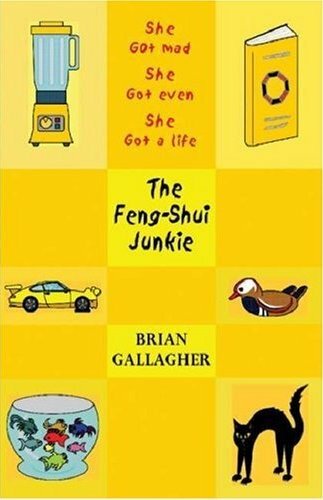 The first is The Feng Shui Junkie by Brian Gallagher. It's perhaps the book that I always lobby to my friends who are also book enthusiasts. It tells of a lawyer named Julie who finds her husband cheating on a girl who happens to be a Feng Shui junkie. The book narrates of her scheming plot to wreak havoc on her husband's mistress only to learn that there's something more than meets the eye. I think I've read this book about... uh... more times that I can count. I lost my original copy through the lending route which frustrated me since it's already out of print. Good thing I found another copy in a book sale pile and I never lent it since. My second favorite book is Tuesdays With Morrie by Mitch Albom. I've read it several times and with each time, it never fails to make me cry. It's like watching all the Carl & Ellie moments in Up; the book pinches you in the right places and it made me love/honor my profession more. My third favorite would be A Midsummer Night's Dream by William Shakespeare. For me, it's romance/comedy at its best. Even with the aspect of fairies and witches, I loved the dynamics of the protagonists, especially Hermia, Helena, Lysander and Demetrius. 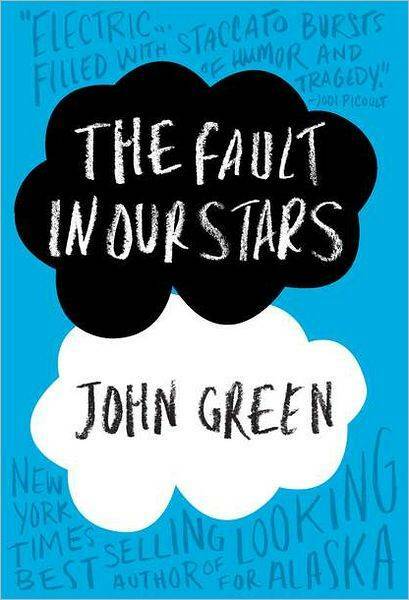 Perhaps the book that takes this award would be The Fault In Our Stars by John Green. I haven't really read a book that talks about the Big C but this one was gut-wrenching yet heart-warming. So far, it's the only book this year that made me cry buckets. The runner-up would probably be Before I Fall by Lauren Oliver, only because I found myself still hoping for a different ending until its last few pages despite knowing otherwise. I was there last year along with a couple of friends, and I had fun! It was great to see people who were as equally invested in reading as I was and I enjoyed the panels. Since then, I've expanded my reading plate to include more fiction written by Filipino authors, put up another blog that partly features book news and reviews, and have formed a book club with a few friends. I liked my first ReaderCon experience a lot that I'm looking forward to it this year. And gauging by this year's program line-up, it looks great and definitely worthwhile. However, what makes this year's ReaderCon more interesting (and a bit nerve-wracking) for me is that our book club was invited to host a live discussion. Gulp! I'm keeping my fingers crossed for that. We all started reading somewhere, and more often than not, we were influenced by someone. Who got you into reading? Your parents? A friend? A librarian? One teacher who always lends out his/her books? How helpful was your school in helping your reading habit / fueling your book addiction? I think my parents in some ways got me into reading because I would always see them reading a book or two when I was younger. I remember being surrounded with all sorts of story books and my mother, whenever she could, would read them to me. It only became a habit though during first grade after I was ostracized by my classmates for not being able to speaking Filipino/Tagalog well that in my haste to get away from them, I stumbled into our school library. Since then, I became one of its frequent patrons. I really didn't have money for books then thus the school library was my only source. When my parents saw that I was bringing home books to read on top of what was required in school, they encouraged that habit by allowing me to buy one book per month. However, I wonder if my parents somewhat regret supporting that habit given the number of books I have in my room, both read and unread. Where and how do you read? Can you read anywhere and everywhere, or do you need a certain place/mood/state of mind to get reading? Do you read more in the morning or at night or any minute that you can? Where and how do you usually read? Are you exclusively for print, or do you go for ebooks more than print? Have you ever tried audiobooks? I'm the kind of person that can read anytime, anywhere as long as I feel like it. Lately, most of my reading is done during my morning commute because it takes an average of 1.5 hours to get to my office from where I live. On long weekends or holidays, I can finish around 2-3 books. I usually read in my room, and sometimes, a pint of semi-soft ice cream and a bag of chips will be nearby. I've always considered myself to be traditional reader, mostly going for print books because I like the feel of holding one. However, with the decreasing space for books in my room and the installation of Kindle for PC in my laptop, ebooks have become part of my reading pile. My goal before this year ends is to buy myself a Kindle Fire since I couldn't really bring my laptop during my daily commute. I tried audiobooks before but unfortunately, I don't have enough time or luxury to get through or even finish one. I wish I could though since there are a lot of really good audiobooks out there that I'd like to listen to. I know it's been a while since I've written here. Having my other blog has kept me busy aside from work. However, I felt it's fitting to revisit this blog again, being my first and the longest. 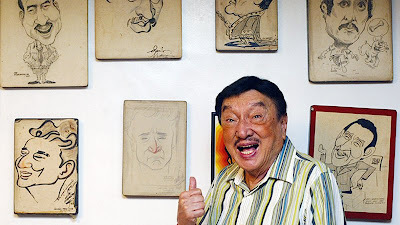 And for my 101st post, I am going to honor someone who I don't know personally but has been one of those who never fails to make me smile: Dolphy. 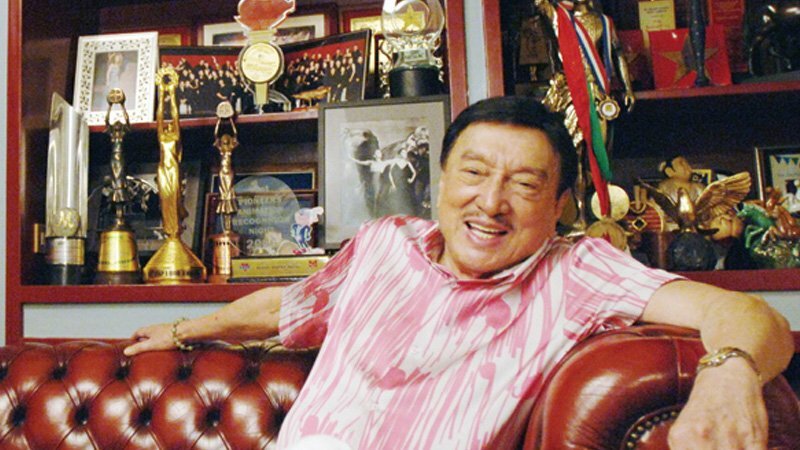 Today, Rodolfo Vera Quizon Sr. -- Dolphy to most Filipinos -- was finally laid to rest. I learned of his passing while I was burning the midnight oil at work, learning the ropes of my new role. I was stunned because there were reports that he was getting better the night before, that he was going to be discharged from the hospital. It was all so sudden that it reminded me so much about how my maternal grandmother passed away. It was very similar that I couldn't help but shed a few tears. I was reminded of how much Dolphy figured in my life. I literally grew up watching his shows and movies, even those shown in the 50s & 60s. Facifica Falayfay. John Puruntong. Kevin Cosme. Each and every role he did was memorable so I guess it's no surprise if the nation is mourning. It is a loss indeed but heaven gained a soul whose energy and presence are as bright and luminous as the sun. I can just imagine him and his fellow Pinoy comedians that went before him staging a reunion stand-up show right now, its awesomeness unmatched. 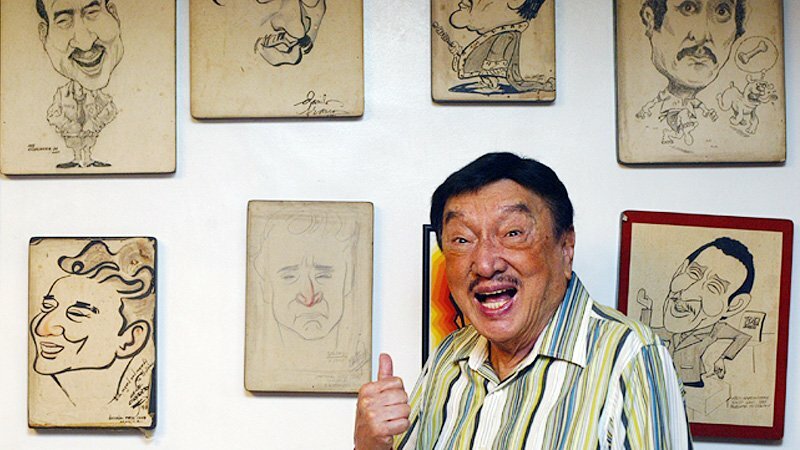 So I end this post by saying, thank you and may you rest in peace, Mang Dolphy. I may shed tears now but I will always remember the laughter. Growing up with your presence in Philippine Showbiz has been a wonderful experience. I hope that the new generation of Pinoys will discover and adore you as much as I did and always will.